Yeshiva Zeev Hatorah first opened its doors at the start of the Elul term in 2009. From its humble beginnings with only a small group of hand-picked bochurim and avrechim, a buzz swiftly began circulating around the yeshiva world about this exceptionally warm and inspiring makom Torah. As a result of its unique qualities, Zeev Hatorah has experienced a rapid expansion in enrollment. In just a few months, this yeshiva has blossomed into a thriving beis medrash, resounding with a Kol Torah which rivals other well established learning institutions in Yerushalayim. In addition to the Yeshiva’s superb repertoire of Torah learning, it stands alone as a yeshiva community dedicated to developing a heightened sense of individual and communal responsibility. The bochurim take personal pride in playing an active roll in maintaining the high standards of orderliness and cleanliness of the yeshiva premises. Such a pronounced investment in caring for one’s surroundings produces a greater achdus amongst the talmidim, more conscientious and mature future spouses, as well as potential leadership qualities to serve Klal Yisrael. Our bochurim and avreichim come from a wide range of American yeshivos such as Shor Yoshuv, Bridgeport, Providence, Torah Va’das, Ner Yisroel, Yeshiva of Waterberry, Rochester, South Bend, Darchei Torah, Nesivas HaTorah and Linden. In addition it attracts 2nd and 3rd year students from Yeshivos in Israel such as Bais Yisroel, Ateres Yerushalayim, Tiferes Yerushalayim, Ohr Dovid, Mir, Lakewood East, Rav Eichentstein’s, Reishit Yerushalayim, Toras Shraga and the like. The Rosh HaYeshiva, Rav Shmuel Brazil commands the yeshiva with his acute Torah acumen built over 35 years of teaching Torah in Yeshiva Shor Yoshuv and its surrounding communities. Following in the footsteps of his beloved Rosh Yeshiva Rav Shlomo Freifeld Ztz’l, Rav Brazil nurtures his talmidim’s growth with his characteristic warmth, sensitivity and enthusiasm. The Rav’s mere presence in the Beis Medrash inspires every talmid to believe in his own unique inner strength to actualize his full potential. His daily Parsha shiur is filled with timeless jewels of Yiddishkeit and the deeper yesodos of Avodas Hashem, which have proven, over the decades, to possess an incredible capacity to transform lives. 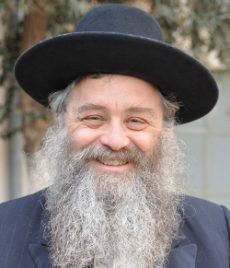 The talmidim have access to Rav Brazil not only through his many shiurim and private chavrusas in sifrei Mussar and Chassidus, but they are also fortunate to take part in his frequent kumzitzes, Tisches, and Meleva Malkas, in which participants are uplifted by his original musical compositions and Torah insights. Rav Leiby Ritholtz was born in Central Queens, New York, and at a young age moved to Far Rockaway where he became close to the Rosh Yeshiva, Rav Brazil. Upon coming to Eretz Yisroel he first learned in the Ponevezh Yeshiva in Bnei Brak for two years, followed by the Mirer Yeshiva for another five years. During that time, he received Smicha from Rav Moshe Halbershtam zt”l and from Rav Yosef Yitzchok Lerner Shlita. Afterwards, he continued for another two years in Aish HaTorah. Later he joined Rav Yitzchok Berkowitz’s Kollel for three and a half years which included courses in chinuch, and then went on to become a full time Rebbi at Yeshiva Ohr Dovid. As Mashgiach at Yeshiva Zeev HaTorah he involves and concerns himself in the daily lives of the bochurim. 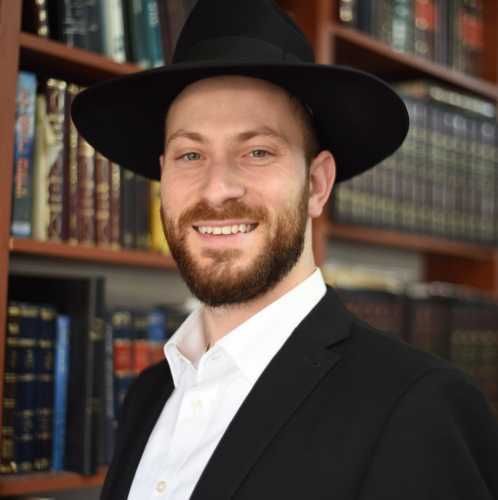 Whether it is finding Chavrusas and roomates, helping them prepare for shiur, or giving advice and chizuk in their personal issues and challenges, he is committed to the task with all his heart and devotion. Rav Ritholtz lives in the Ramat Eshkol neighborhood of Yerushalayim with his wife and daughter. Rav Yehuda Leib Yellin learned under Rav Binyomin Moskowitz at Medrash Shmuel and later by Rav Kushelevsky. Before coming to Yeshiva Zeev HaTorah he was a Maggid Shiur at Yeshivas Lev Aryeh for over ten years. He is currently teaching in the mornings at Yeshivas Yesod HaTorah. Rav Yellin gives the afternoon Bekius shiur in which he focuses on finishing the Mesechta. He also gives both a Halacha and Mussar Vaad at the end of the afternoon Seder. He always embellishes his shiurim with inspirational stories of Gedolim, personal interchanges with them and their Hashkafas, and Yesodos of Yiddishkeit. Rav Yellin lives in the Neve Yaakov neighborhood of Yerushalayim with his wife and children. Rav Nossan Friedman grew up in New York, and attended Yeshiva Torah Vodaath and Mesivta Ateres Yaakov. Following high school, Rav Friedman came to Eretz Yisroel and learned in Yeshiva Bais Yisroel for many years. After marriage, he continued learning there in the Kollel, and soon began serving as Shoel U’Meishiv to the bochurim for both the afternoon and night sedarim. Rav Friedman gained much experience teaching Torah in that capacity, in addition to serving as substitute Maggid Shiur in the morning. He continues to give a Bekius Shiur there in the afternoons. Being a close talmid of the Rosh Yeshiva Rabbi Daniel Lehrfield shlit”a, and of the Rosh Kollel Rabbi Hillel Ruvel shlit”a, Rav Friedman is a product of the mesorah leading back to his Rabbeim’s great Rebbes, Rabbi Chaim Zimmerman zt”l and Rabbi Yisroel Zev Gustman zt”l. At Yeshivas Zeev HaTorah, Rav Friedman focuses on clarifying the nuances of the sugyos and the opinions of the reshonim, taking care to insure structure, understanding and retention of the material. With a finger on the pulse of his talmidim’s excitement for, and comprehension of their learning, Rav Friedman’s shiur is a place the bochurim aspire to enter and grow from. Rav Friedman lives in the Neve Yaakov neighborhood of Yerushalayim with his wife and children. Rabbi Shaul Geller grew up in Monsey New York. He learned for eight years in Rabbi Meiselman's Yeshivas Toras Moshe and is a close talmid of Rabbi Michel Shurkin Shlita and Rav Elchonon Fishman Shlita. Rabbi Geller also learned in the Mir under Rav Elya Baruch Finkel Z"TL , Aish HaTorah and Rav Berkowitz's Kollel during which time he obtained semicha from Rav Zalman Nechemia Goldberg Shlita and became a certified Life Coach. 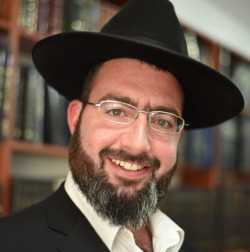 Rabbi Geller was a magid shiur in Yeshivas Shaarei Tevunah for six years before coming to Zeev HaTorah and is currently a maggid shiur in Yeshivas Gevuras Yitzchak. 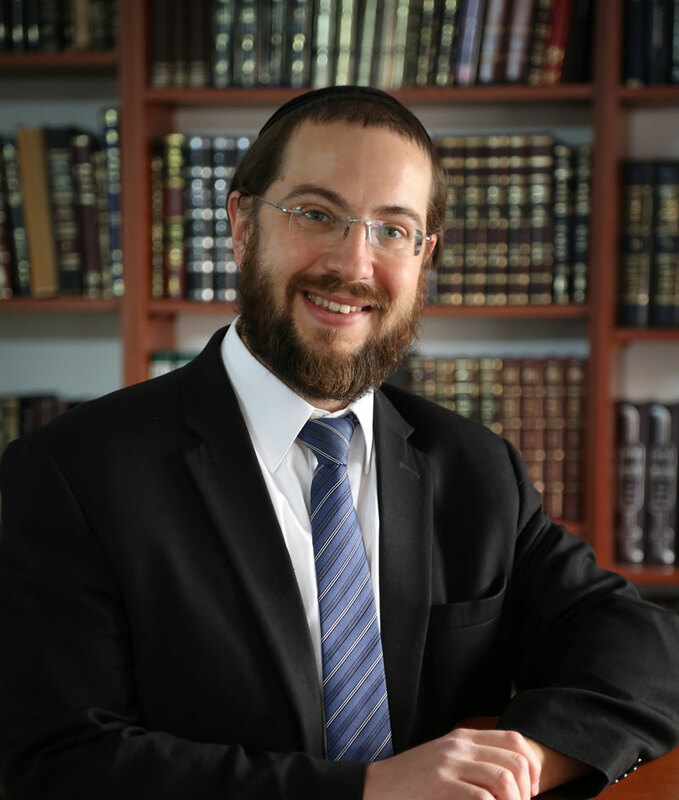 Rabbi Geller has many years of experience in teaching, developing and coaching bachurim and trying to help them realize their full potential. Rabbi Geller relates to each talmid on his level and strives to give them a feeling of accomplishment by mastering the Gemara or mishnayos baal peh. He looks at his talmidim as his children and strives to develop them into being true bnei Torah. 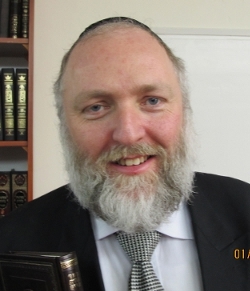 Rabbi Geller currently lives in Givat Zeev with his wife and children.